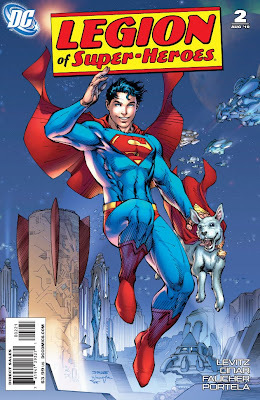 Jim Lee's variant cover for Legion of Super-Heroes #2 just hits me with a wave of nostalgia each time I look at it. Days of over-flowing comic stands in every bookshop, bumper issues and cheaper prices... good times all round. For the full preview of number two, click over to the DCU.